Dr. Bista was born and raised in Chitwan, Nepal. She completed her undergraduate and graduate (M.Sc. in soil science) education from Tribhuvan University Institute of Agriculture and Animal Sciences, Nepal, and Ph.D. in Agronomy (2014) from University of Wyoming, USA. Dr. Bista worked as a postdoctoral scholar (2015-2016) and later as an affiliate scientist (2017) at Oregon State University. She found her specialization is best used when studying management practices that enhance agricultural sustainability and mitigate climate change impacts. Prakriti has studied effect of traditional and conversation management practices on the biogeochemical aspects and agronomic performance of dryland wheat farming. Her research also involved monitoring and modeling of traditional and intensified cropping systems, cover cropping and conservation management practices on crop performance and soil quality. She has published 11 peered-reviewed papers, three book chapters, 10 extension articles, three YouTube videos as well as presented in many local, regional, and international conferences. 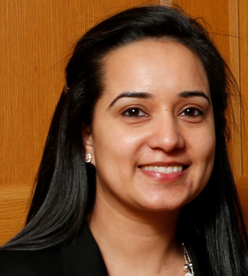 She has reviewed papers for several journals and served to the professional community as Rapporteur at International Arid Cereal Conference (November 2015), secretary of Friends of Nepal at University of Wyoming (April 2011-March 2012), and secretary of Youth Red Cross Circle Nepal (January 2007- February 2008). She enjoys her family time with wonderful husband and two lovely sons. 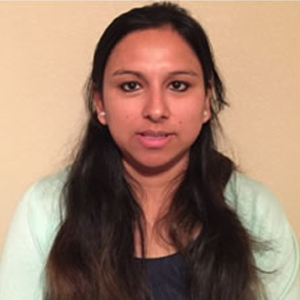 Ms. Ambika Tiwari, Senior Research Associate, received her Master of Science degree from Florida A&M University. Originally from Bharatpur, Chitwan, Nepal. Currently working in agricultural water quality research at Mississippi State University. Previously, worked as an Assistant Agronomist at NARC, Nepal and as an Environmental Specialist with Florida Department of Environmental Protection. My educational and career specialization is in Agricultural Water Quality Research, Best Management Practices, Algal Taxonomy and Environmental Protection and Restoration. I am one of a founding member and past treasurer of Association of Nepalese Agricultural Professionals of Americas (NAPA). Life member of International Nepali Literary Society, NAPA and NASeA. I have great interest to help society in every way possible by providing my expertise in education, social works and specially women's empowerment issues. Dr. Shristi Ghimire completed Bachelor of Veterinary Science and Animal Husbandry (B.V.Sc.&A.H.) from Purbanchal University in 2014. Then, she worked as a Veterinary Officer at National Zoonoses and Food Hygiene Research Center (NZFHRC) in Kathmandu, Nepal from 2014 to 2015. She completed MS in Comparative and Veterinary Medicine (CVM) degree from The Ohio State University (OSU) in 2017 and started working as Research Associate until February 2019. Her work at OSU was related to vaccine development against different animal pathogens. Currently, she works at The Johns Hopkins Bloomberg School of Public Health (JHBSPH) as Senior Research Specialist. Her work at JHBSPH involves improvement of measles vaccine. Her expertise involves virology, immunology and vaccine development. Ms. Ranjana Rawal was born, raised, and completed her school education in Dhangadhi, a city in the Kailali District in the far west of Nepal. 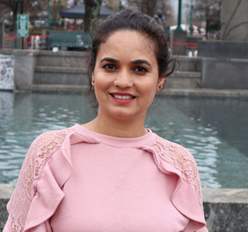 With support from a merit scholarship from Tribhuvan University (TU), Kathmandu, Nepal, Ranjana obtained a BSc in Agricultural Science in 2011, and an MSc in Horticultural Science in 2013. She then joined a non-governmental organization Centre for Environment and Agriculture Policy, Research, Extension and Development-CEAPRED) involved in agricultural development in a remote area of Nepal. Following this, she worked as a Cropping System Agronomist at the International Maize and Wheat Improvement Center (CIMMYT) where she learnt about the impacts of climate change on agriculture. Since 2013 she has been with the Nepal Agricultural Research Council (NARC), as a scientist (S1) where she is focused on improving farming practices through applied research in Horticulture. In 2017, she received a Schlumberger Foundation, Faculty for the Future Fellowship to peruse her PhD at Ohio State University in Department of Horticulture and Crop Science. Ranjana's PhD research focuses on manipulating microbes such as the Trichoderma genus of fungi to mitigate abiotic stresses in Tomato. Following her studies in United States, Ranjana plans to resume her position at NARC. The agricultural sector in Nepal is mainly driven by female peasant farmers as many of their male counterparts are working overseas, so representation of women in research and development organizations such as NARC is essential to effectively engage with the farming community.